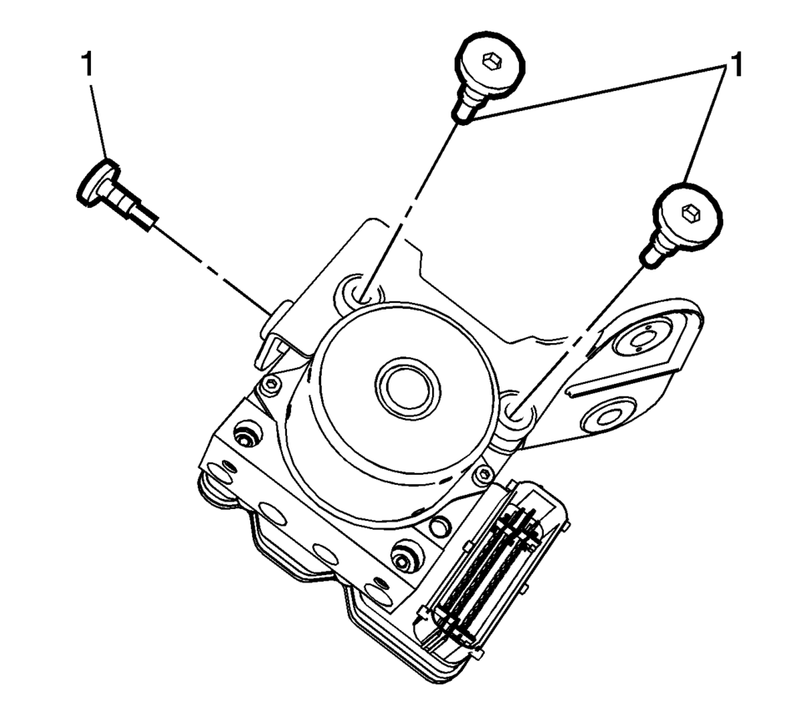 Remove the brake pressure modulator valve (BPMV) and bracket assembly. Refer to Brake Pressure Modulator Valve Replacement. Remove the BPMV bolts (1). Install the BPMV bracket to the BPMV. Install the BPMV and bracket assembly. Refer to Brake Pressure Modulator Valve Replacement.